Don’t know what to get your “environmentalist” friend or loved one for Christmas? 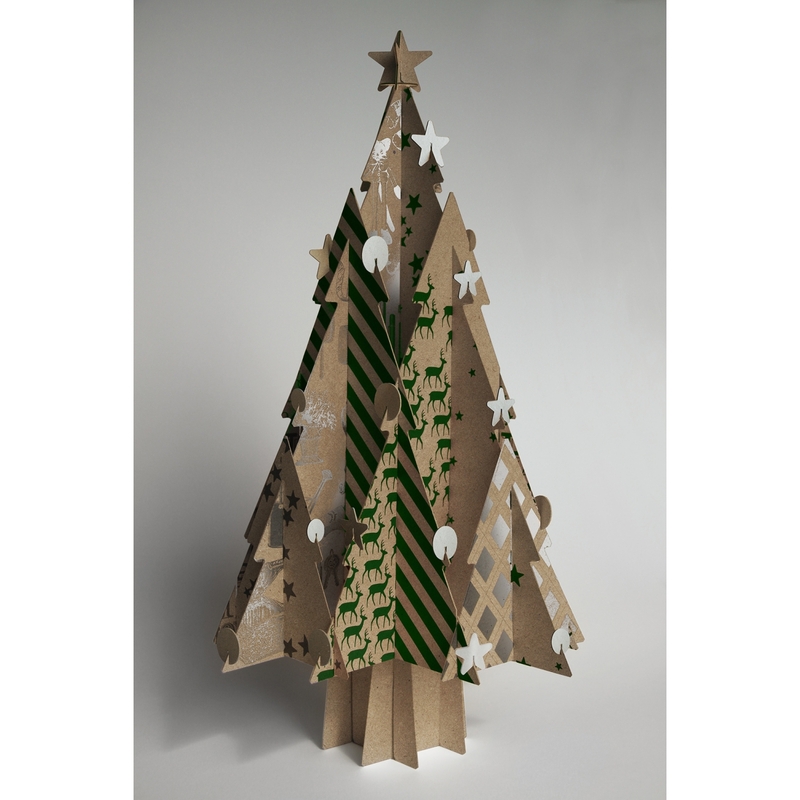 Paper-based packaging converter Cascades has the answer: A decorative tree made from 100% recycled paperboard. In collaboration with Italian tree-designer/partner Reno De Medici, Cascades recently launched two online stores to let North American and European households order and receive the tree of their choice with a few mouse clicks. Three models of the Collection Reno Carton trees are available: the Classico and Moderno (41 in. tall) [at left] and the Piccolo (24 in. tall). They come in white, green, trendy printed designs and natural (a.k.a. brown kraft). The made-to-measure Christmas tree has long, detachable pieces that are kind of like a puzzle, so be prepared for some interesting work putting it together. Manufactured entirely with recycled fibers, the Christmas trees are also FSC®-certified. Their raw materials come from the “urban forest” of consumer recycling bins, and the trees are strong enough to be reused for many years. When their usable life IS finally done, Cascades says they can return to where it all started (another recycling bin). This entry was posted in paper/paperboard/cartons, sustainability and tagged boxes, cartons, Christmas, converting, corrugated, paper, paperboard packaging, recycling, sustainability. Bookmark the permalink.